Organ Donation Costs | Farah Roberts Ltd.
At any time during your life, you can choose to become an organ and tissue donor. This is a personal decision that you should take time to carefully consider. While there are many valid considerations to weigh, cost is not one. A common misconception is that your estate will get stuck with a bill for the charges related to removal procedure. This is not true. Neither the family of the deceased nor the estate of the deceased will bear any cost for the removal procedure. ALL costs related to donation are paid by the organ/tissue recovery agencies or the transplant center, including the charges for the operating room and surgeon. On the flipside, the decedent’s family and estate will not be compensated for donation, because it is gift and compensation is prohibited under National Organ Transplant Act. Your Attorney and Physician serve as excellent resources for learning more about the decision to become a donor and how to accomplish this gift. In Ohio, the simplest way is to let the clerk know your wish when renewing your driver’s license. 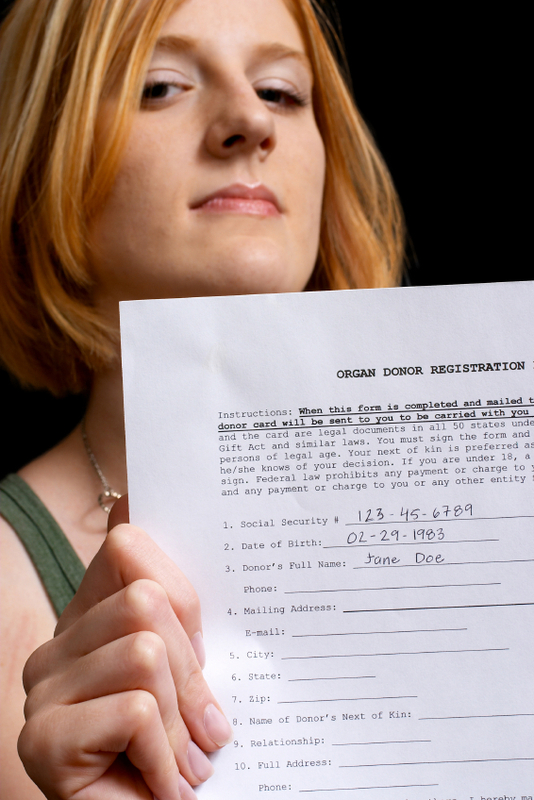 To more clearly communicate your wishes with respect to donation, complete and file a "Donor Registry Enrollment Form" with the Ohio Bureau of Motor Vehicles. Your preferences for making an Anatomical Gift can also be stated in your Living Will and Ohio Health Care Power of Attorney.